The U.S. economy grew by 0.7 percent in the fourth quarter of 2015, below expectations and down from 2 percent in the third quarter, according to the "advance estimate" released today by the Bureau of Economic Analysis. 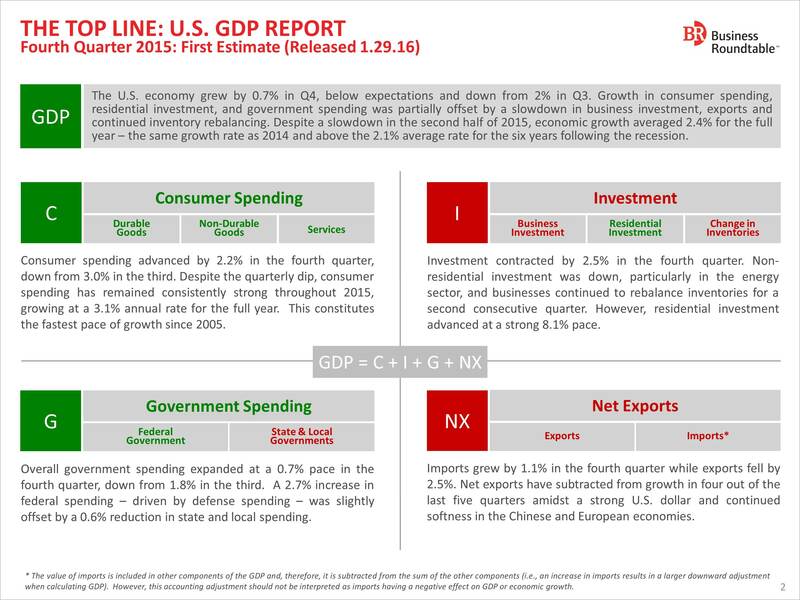 Growth in consumer spending, residential investment, and government spending was partially offset by a slowdown in business investment, exports and continued inventory rebalancing. Despite a slowdown in the second half of 2015, economic growth averaged 2.4 percent for the full year – the same growth rate as 2014 and above the 2.1 percent average rate for the six years following the recession. 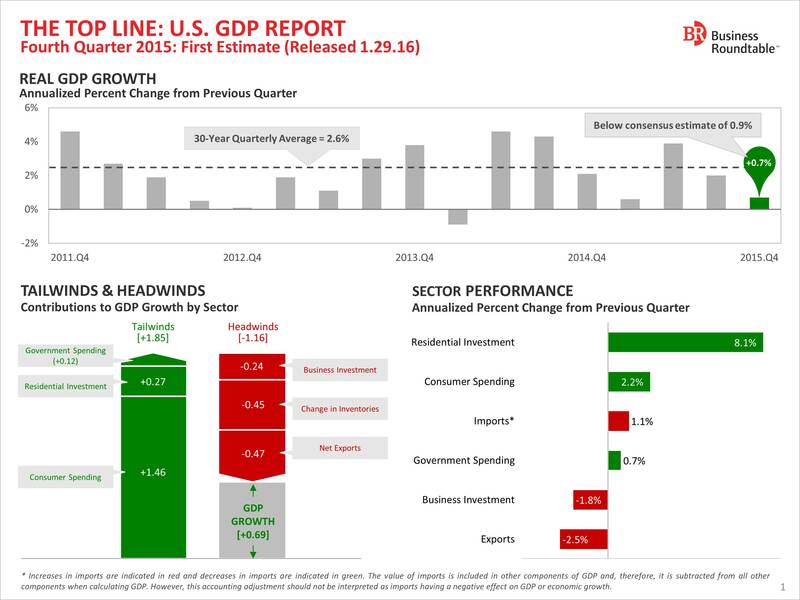 That 2.4 percent GDP growth for 2015 was the same figure that Business Roundtable's final CEO Economic Outlook Survey for 2014 projected. CEOs repeated their accurate projection in the 2015 Q3 survey. For more detail see The Top Line below and online here.